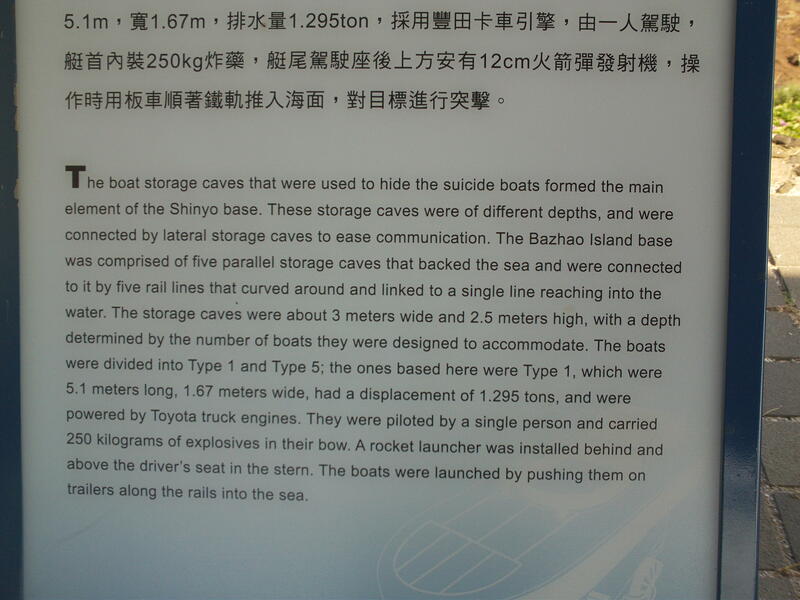 The now collapsed opening of one of the tunnels at Wangan Islet from which Japanese Shin'yō suicide boats used to be launched. The other cave. 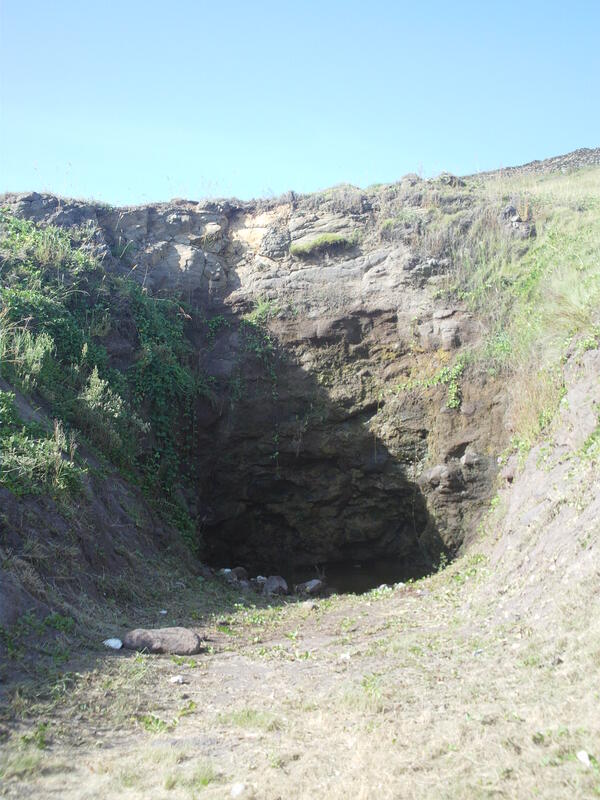 With water dripping into a hollow at the base, it gives slightly more indication of a tunnel having once been here. Most people have heard of Kamikaze pilots, but I’m embarrassed to admit I knew nothing of the Shin’yō suicide boats that Japan employed against Allied vessels during WWII. 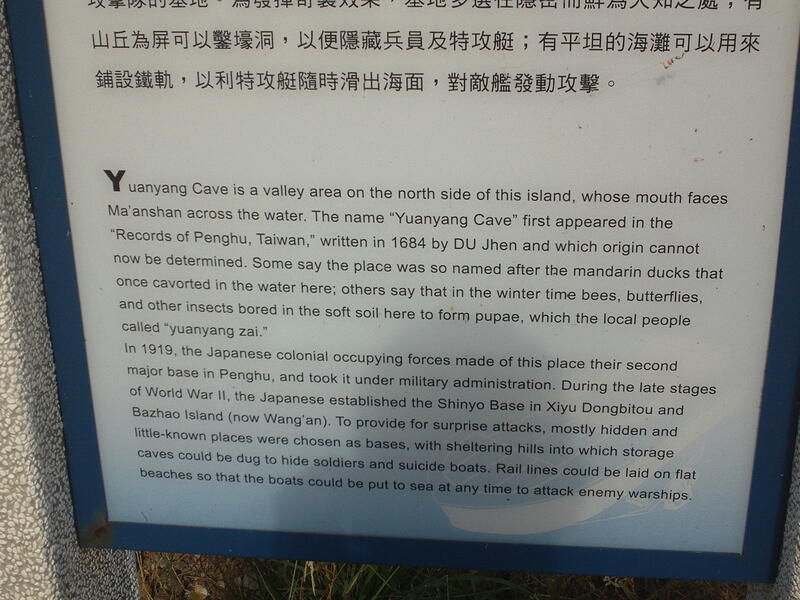 So, scootering around Wangan Islet (望安嶼) just after dawn on Sunday, I was amazed to find the Yuanyang Cave (鴛鴦窟) area, the site of one of two Shin’yō facililties in the Penghu archipelago and several in Taiwan (the others were in Danshui, Keelung, somewhere in Pingtung and Zuoying in Kaohsiung County). 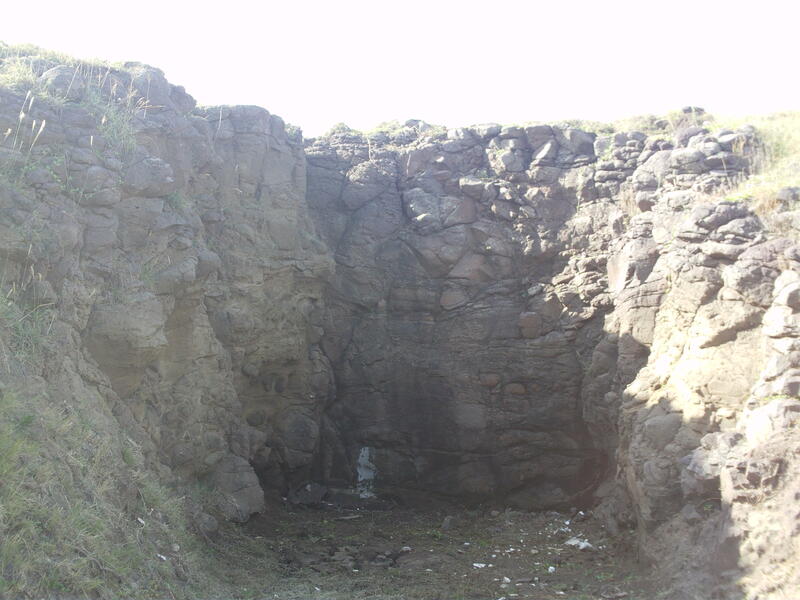 As you can see from the photos above, there is nothing much left of the caves now. 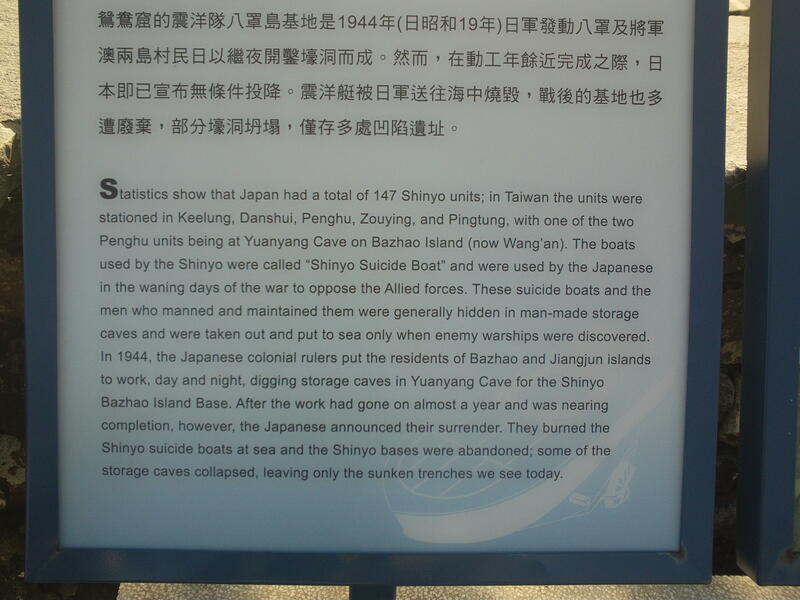 Locals from Wangan and neighbouring Jiangchun (將軍) were conscripted to build the tunnels. 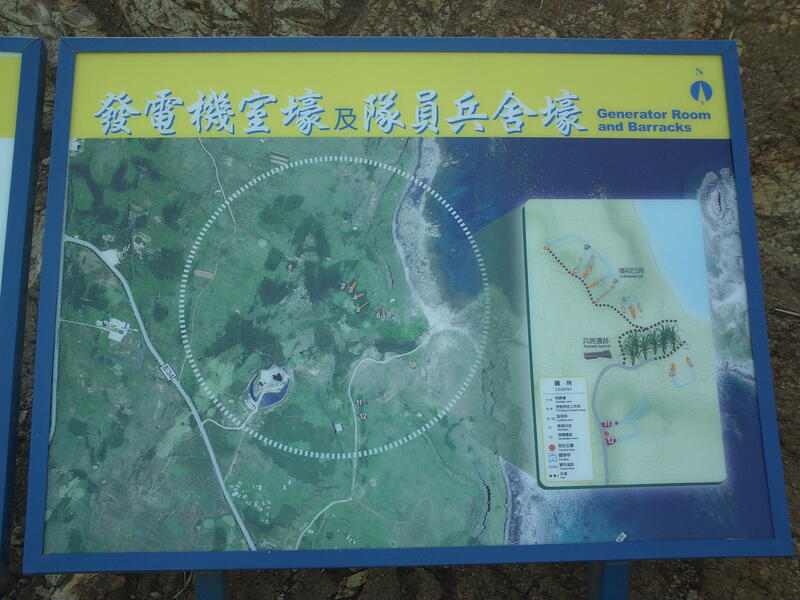 After the war, the wood supporting the caves was pilfered – hardly surprising as decent lumber is in short supply on treeless Penghu1 – and the caves collapsed. This being the case, there’s not an awful lot to see at the site now, though word is that the government intends to restore the site by next year. 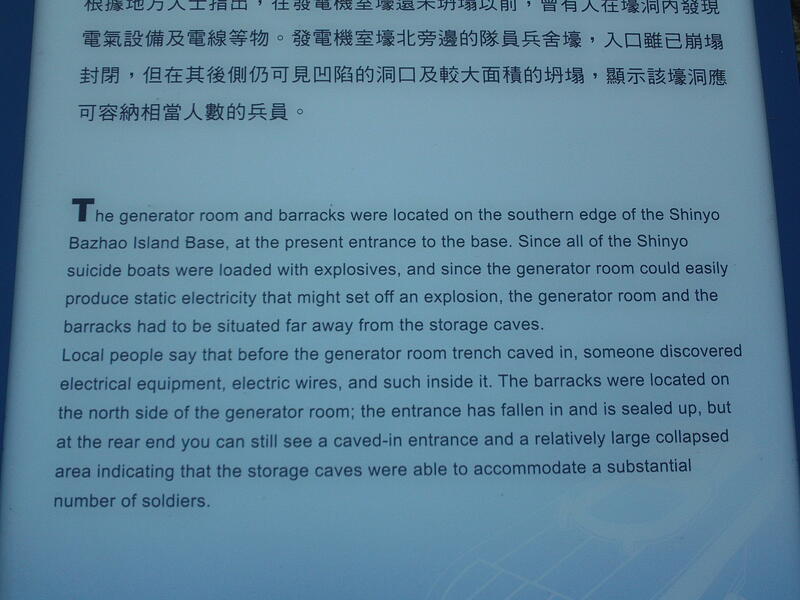 This will include reopening the tunnels, and making replicas of the Shin’yō boats. Life-sized statues of the personnel will also be made available for the swathes of tourists who want to “take pictures with models of Japanese soldiers,” a tourism official announced. 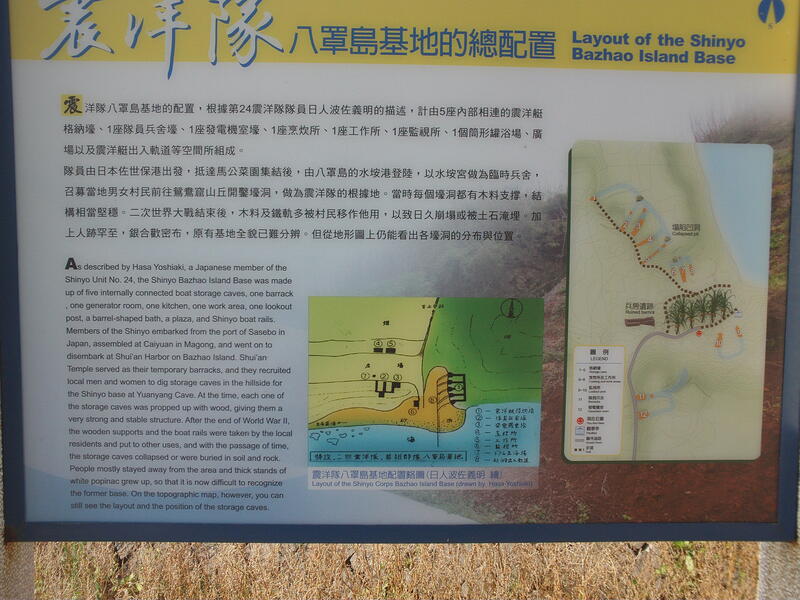 As the information boards at the site explain everything in pretty good detail, I’ll let them do the talking from here on in. Click ’em to enlarge. Rails led from the tunnel mouths, presumably down toward the sea, and wheels were fitted to the one-man boats. 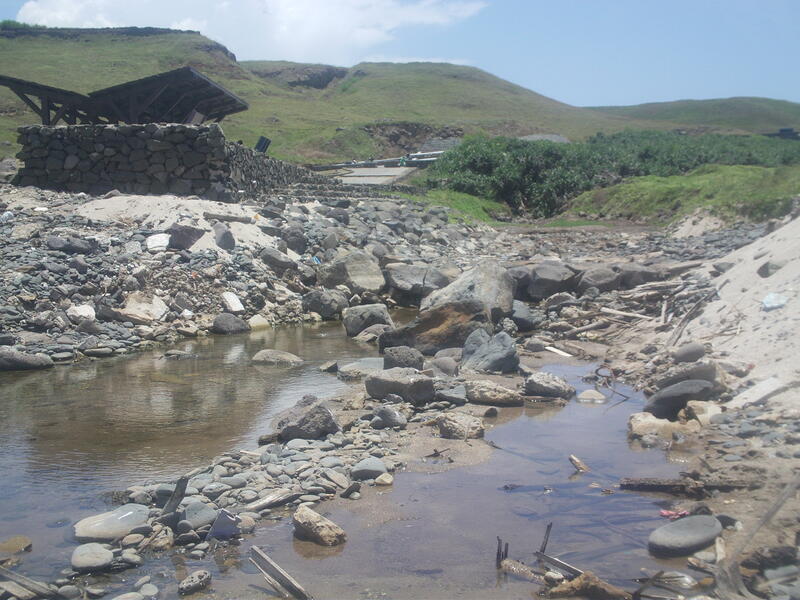 It’s hard to picture precisely how it all must have worked but, these days, this is the stream that leads to the sea, so perhaps this is where the self-exploders embarked on their mission in earnest. Hopefully all will be revealed when the site is completely restored. 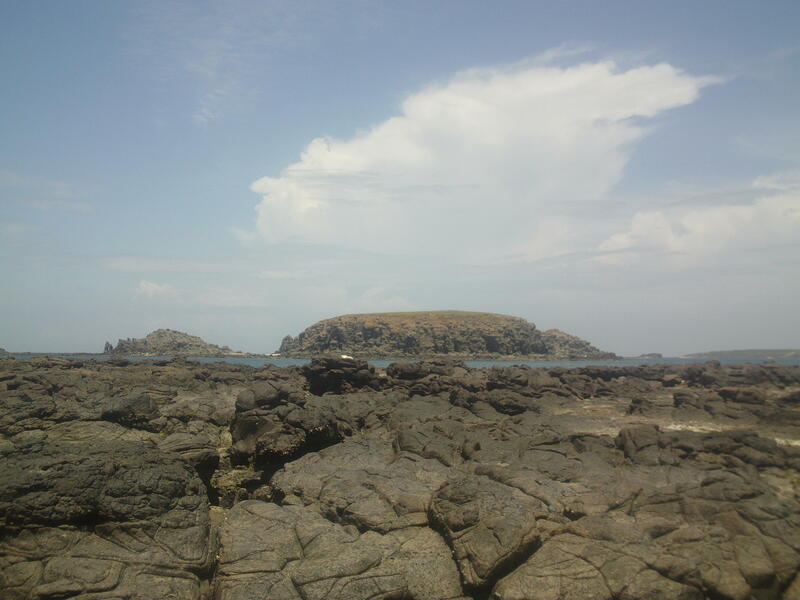 Wangan Islet is 40 minutes on a boat from Makung, the city on the main group of Penghu islands. It’s well worth a visit, as it has several decent beaches and a couple of good attractions. It’s small – less than 14 square kilometres – and with a scooter, which you can pick up from the harbour as soon as you disembark (NT$250 a day), you can whizz round exploring every nook and cranny and see everything within a couple of hours. This was my second visit to Penghu and I really can’t speak highly enough of the place and, above all, the people, who are some of the friendliest and kindest I have ever met. I’ll be sticking some more posts up about some of the worthwile sights and other aspects of my trip in the near future. 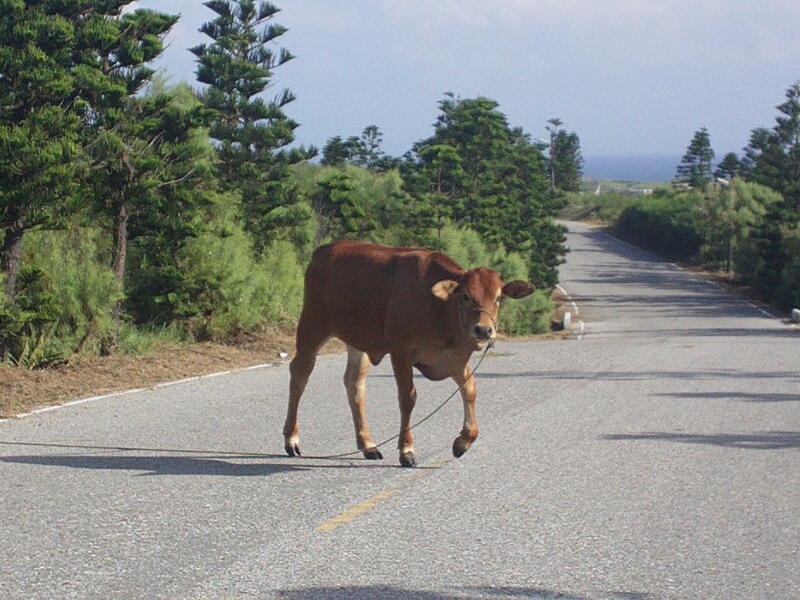 For now, I leave you with this fellow, who was lumbering across the road to join his bovine ilk (pictured, right), just before the turning to the caves 2 I have never seen so many cows in one place in Taiwan. 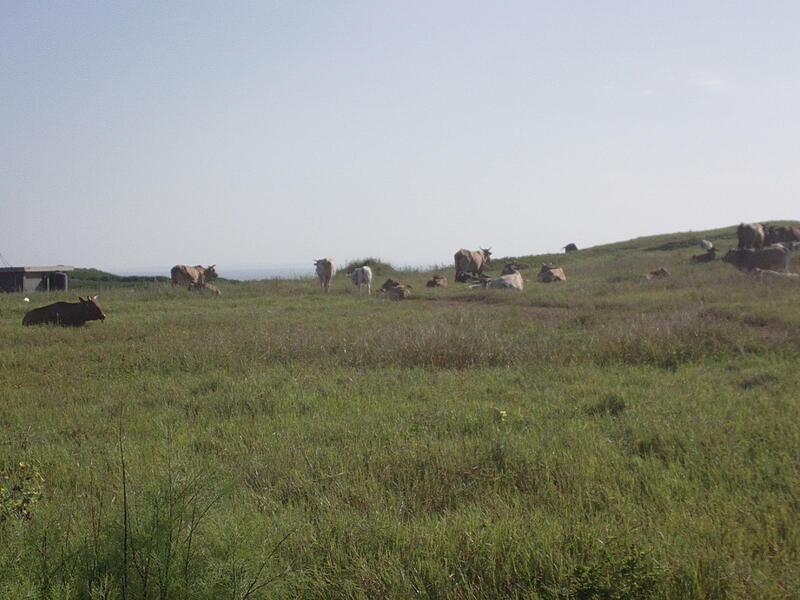 They’re all clustered on a hill overlooking the bay where the caves are, munching grass out of abandoned graves. 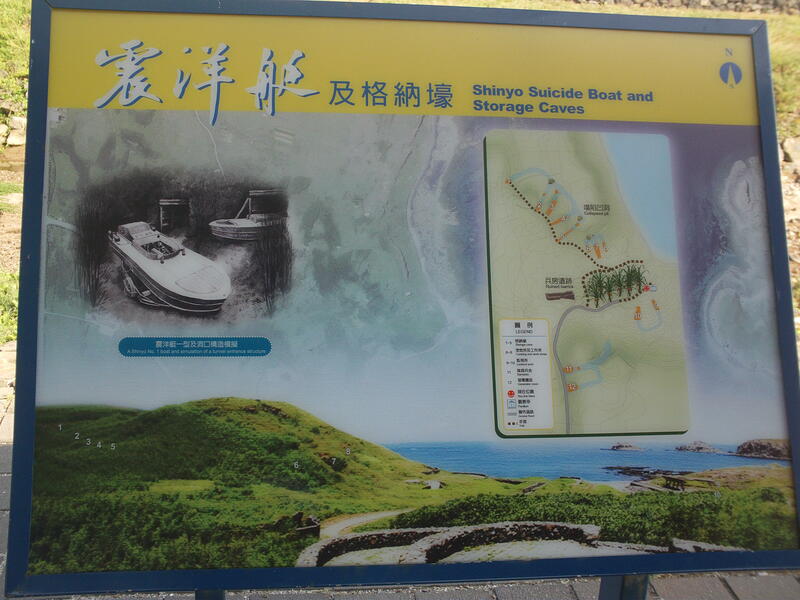 As much as i enjoyed viewing the cows , i fear with your exposure they soon will meet there figurative kamikaze boat and there will be beef a plenty in Ponghu. 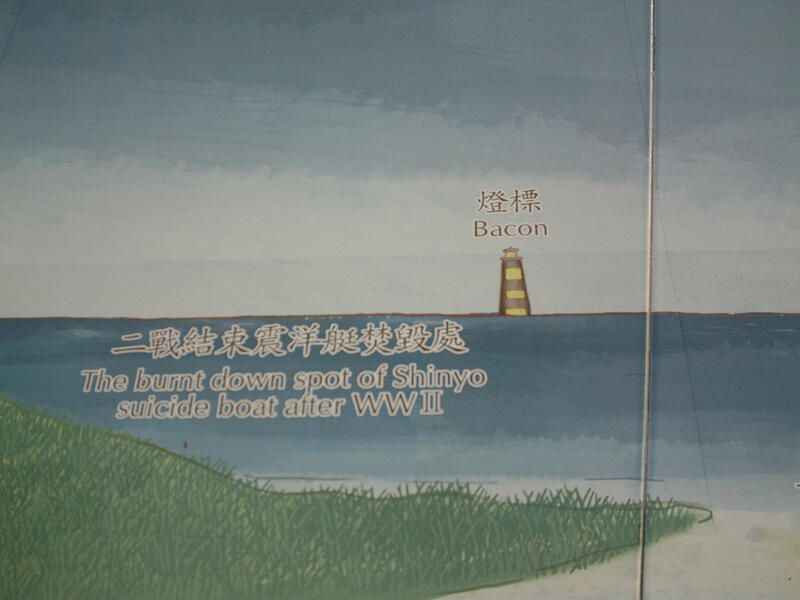 Yeah, the Japs had all sorts of last-ditch weapons they were itching to unleash on an allied invasion. Nearly all of them involved suicide in some way (manned suicide torpedoes, suicide rockets, suicide boats, suicide divers, a millions-strong militia trained to attack the invaders with bamboo sticks) and would most likely have had indifferent effects on the invaders. Even the Kamikaze pilots inflicted only marginally more casualties than they themselves suffered (4,000 dead kamikaze pilots vs. 4,900 dead USN, RN, and RAN sailors) and only found their targets 14% of the time. The main reason, other than pure fanaticism, the Japanese military leaders were still in favour of fighting in ’45 was because they thought they might be able to defeat an invasion through the use of such suicide weapons and thus win the war. Once the power of the atomic bomb became apparent to them, and they understood that the allies could win without even invading, this final motivation for continuing the war was removed.